This is the view from the penthouse of the Tropic Seas in Honolulu on the gold coast. What a wonderful ocean view from this condo! We can see cruise ships, swimmers, people on canoes and gorgeous Hawaiian sunsets. My wife and I rented this unit for our stay here in July. Our neighbor in the corner unit seen in the photo has lived in the building since 1972. I am currently in Hawaii doing some marketing and shooting scenic images for my fine art print portfolio. 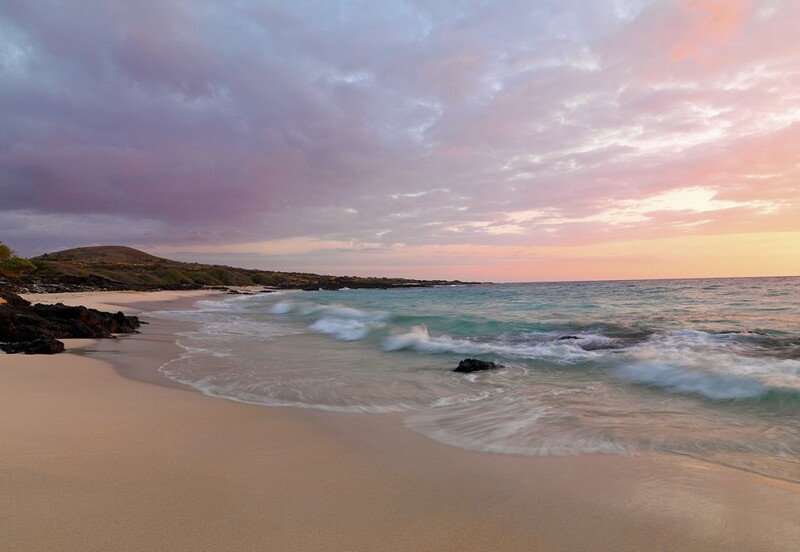 I found this beach today on the big island and was just in time to set up for some sunset shots. This image is my favorite of the day. I really love the soft pastel colors. 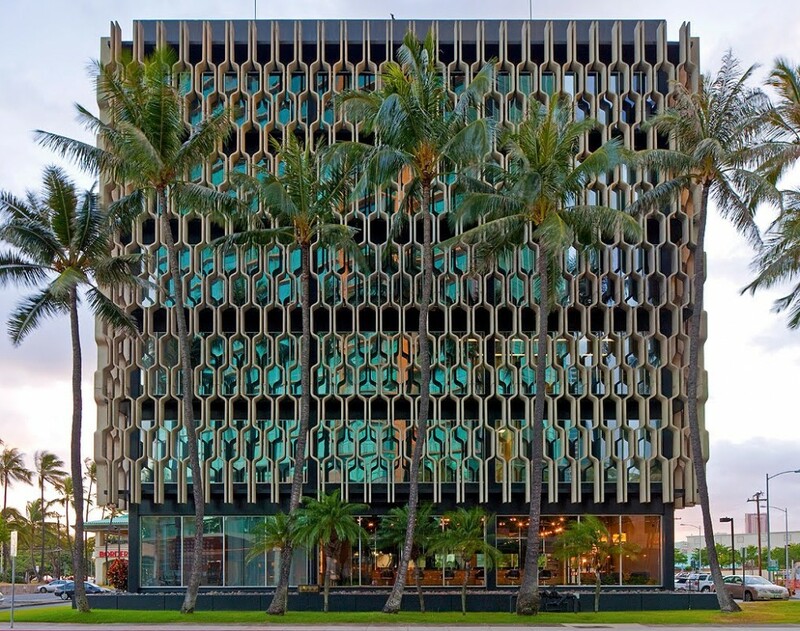 I arrived in Honolulu today and found this fantastic mid century modern IBM building designed by the late architect Vladimir Ossipoff in 1962. I had to get some shots of it for my portfolio and stock files. 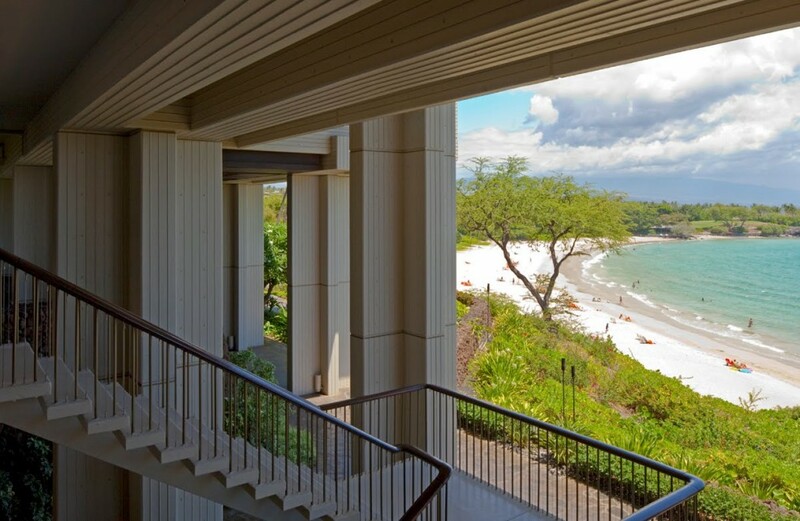 I got a chance to walk through the Mauna Kea Beach Hotel on the Kohala coast of Hawaii. The hotel was financed by Laurance S. Rockefeller and designed by the architecture firm of Skidmore, Owings and Merrill. 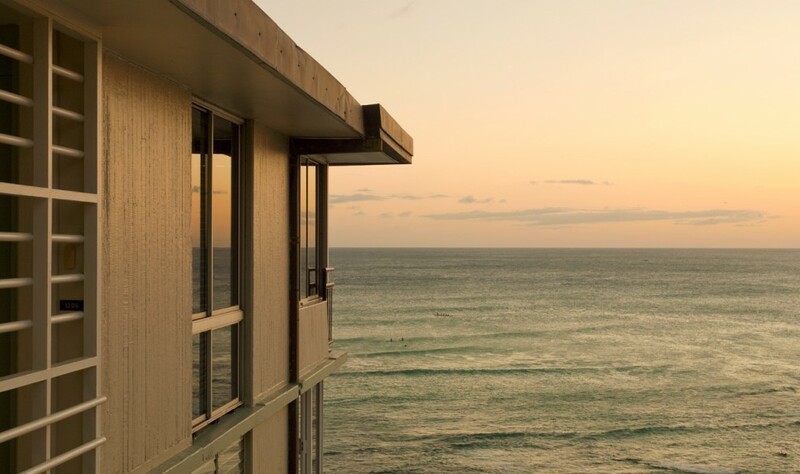 The hotel opened in 1965 with an open air design that allowed natural ventilation from the trade winds. It was one of the most expensive hotels of the time. The hotel and beach are really wonderful and are a must see if you visit the big island.